Nature’s perfectly radiant beauty Raw Manuka Honey + Active Bee Venom + Skin Loving Oils. 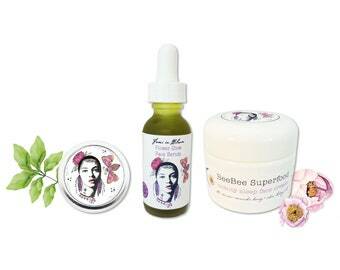 A Skin Superfood night cream treatment fit for a Queen Bee! Natures Perfectly Radiant Organically Handcrafted Small Batch Fresh Luxury Treatment Cream! 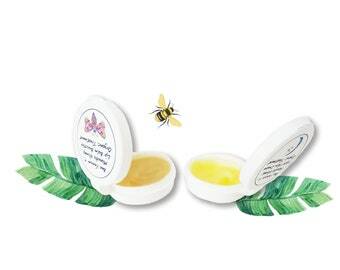 Super Bee Powered Nourishing Beauty Sleep Cream Fit for a Royal Queen Bee Herself! Wake up every morning to flawless, radiantly youthful, soft, nourished, plumper, brighter looking skin and glow. The pure fresh aroma and feel gives you the sense that you just grabbed your cream right from your very own garden. - Infused Flowers, Fruits, Herbs, & Pure Therapeutic Essential Oils! Bee Venom naturally deeply penetrates the skin providing the appearance of lifted, plumper, and firmer skin. The bee venom helps increase blood circulation by gently plumping out and firming the skin, filling and smoothing fine lines and wrinkles. This helps stimulate the production of natural collagen and elastin. Raw Manuka Honey powers a super dose of antioxidants and nutrients to the skin. Manuka promotes skin regeneration, repairs cellular damage, deeply hydrates and brightens the skins surface. Used for centuries as the fountain of youth for skin purity and complextion. Consumer study of 100 woman who used my Bee Venom Night Cream Treatment - 97% reported softer, more hydrated, and brighter looking skin after just one application. Consumer study of 33 woman who used my Bee Venom Nightly Face Cream to help clear their acne - 95% reported waking up to clearer skin after just one application. - Excellent for all skin types. 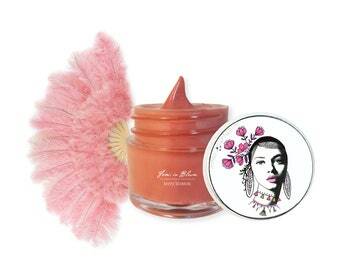 - Natural tone of bee cream may vary in batches. Applies clear, melts into skin. *Bee Venom Honey Facts & Reviews Listed Below! STORAGE: Store in a cool dry place. Best used within 6 months. Made fresh, the fresher you use the even better for your skin. 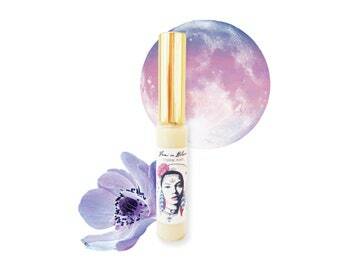 - Powered with natures skin loving oils that absorb deeply into your pores working all night as anti-aging boosters. - Provides extreme moisture and hydration allowing your skin to glow after each nightly treatment. - Bee venom helps with skin elastisity and plumps the skin. - Combats premature aging of the skin, firms and tightens. - Diminish fine lines and wrinkles with continued use. 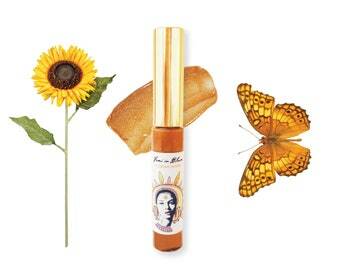 - Manuka honey brightens and helps fade dark spots. Heals and clears acne fast. Doesn't clog pores, clears skin. Pure Frankincense, Rosemary, and Lemon Essential Oils are also used to help prevent acne, kill off bad bacteria, and brighten. The best way to treat oily skin is to use skin loving oils. Oil dissolves oil. Oily skin means the sebaceous glands are overactive and produce more oil. Often oily skin produces more oil as a defense mechanism to balance out the loss of moisture on your skin. By using oil-based products the oil attracts oil and can dissolve sebum, grease or makeup without stripping the skin of its natural oils. Oils are a natural way to deliver fatty acids and nutrients to the skin. Oily skin also benefits from these oils by helping regulate sebum production. Apply to extreme dry skin patches nightly and your skin will return its moisture. Dry cracked skin will heal over night. Dry patches will disappear. Bee Venom, Raw Manuka Honey, and ancient oils used in my cream are all known to help heal these skin types. Wash your face with warm water (opens pores), splash with cold water (closes pores), then apply BeeBee cream every night to cleansed skin. Apply BeeBee night cream treatment to face, neck, chest, and around your outer eyes. Massage into your skin and leave on. At first use it may feel like a light night mask. Only a small amount of cream is needed to cover the skin. Apply anywhere on the body you need a little tightening up. / Apply on your feet at night, put on cotton socks after, wake up with soft glowing pretty feet. 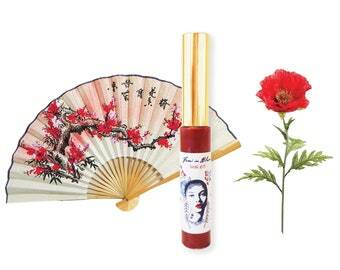 / Apply on the lips at night if they feel dry or chapped. 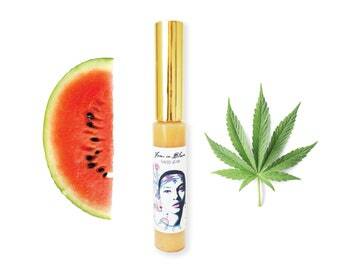 Apply my Healthy Glow Face Serum each morning and then apply my BeeBee Cream each night to cleansed skin. This is all your skin needs to stay radiant, healthy, and deeply hydrated both day and night. Bee Venom is known as Natures Natural Botox. It helps stimulate the natural production of collagen and elastin, while powerful antioxidants regenerate the skin. 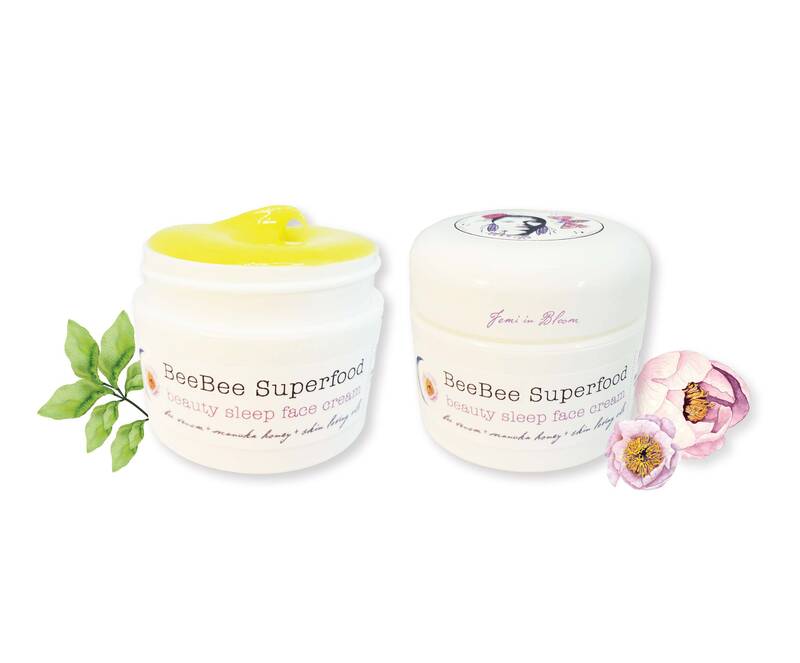 Bee Venom helps to firm and plump facial tissue for smoother youthful looking skin. 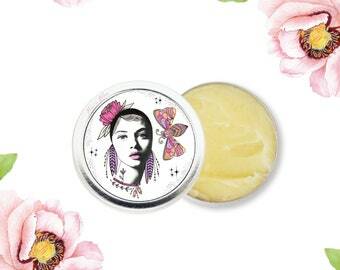 Sustainable Raw Beeswax is used to help soften and sooth the skin. Honeybees produce a natural wax secreting it from glands on the sides of their bodies. They then scrape the wax off, chew it up, and secrete it to the inside of the honeycomb. 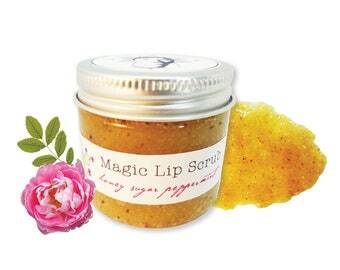 Raw Beeswax is humectant, which helps protect, holds in hydrating moisture, and reduces skin dryness. Harvested from the seeds of rose bushes. Full of antioxidents and essential fatty acids that are known to improve skin's moisture, tone, texture as well as the look of pigmentation. Reduces scars and fine lines. High in vitamin C and antioxidants. Wonderful hydrator and penetrates dry or damaged skin immediately. Sweet & Floral. Calms and relaxes the body and mind. Has been used since Egyptian times for promoting beautiful, radiant skin. Plays a role in helping balance woman's hormone levels and good for breast health. Known as the king of all oils! Frankincense is a powerful astringent, meaning it helps protect skin cells. It helps replace old or dying skin cells with new healthy ones. It is known to help slow down the aging process of the skin. It helps reduce acne blemishes, the appearance of large pores, helps prevent wrinkles, and helps lift and tighten the skin naturally. This fine oil comes from the pressed nuts of the macadamia tree. It is a priceless delight for the skin and has proven itself to be one of the best regenerative oils available. It is high in monounsaturated fatty acids, and closely resembles sebum (the oil naturally produced by ones's skin to help protect it). A fabulous protective oil. Extracted from the seeds of the Evening Primrose plant. The oil is rich in omega-6 fatty acids which have a beneficial effect on the human body. Primrose oil is known to maintain a balance of moisture in amazing ways, providing it a young glowing look. Some take primrose oil supplements to help get rid of related skin dryness. Those suffering with eczema, psoriasis, and rosacea have used primrose oil for relief of these symptoms. + Flowers, herbs and more! New Zealand Raw Manuka Active Honey 22+ , Bee Pollen, Active Bee Venom, Raw Beeswax, Moroccan Argan (Argania spinosa) Kernel Oil, Rosa Rubignosa (Rosehip) Seed Oil, Macadamia Nut Oil, Prunus dulcis (Sweet Almond) Oil, Vanilla Bean, Simmondsia chinensis (Jojoba Seed) Oil, Cannabis sativa (Hemp Seed) Oil, Vitis vinifera (Grape) Oil, Carthamus tinctorius (Safflower) Oil, Aloe Vera Oil, Oenothera biennis (Evening Primrose) Oil, Citrus limonum Lemon Oil, Citrus Reticulata (Tangerine Peel), Rosmarinus officinalis (Rosemary Leaf), Juniperus communis (Juniper Berry), Coriandrum sativum (Cilantro), Lavandula angustifolia (Lavender), Rubus idaeus (Raspberry Leaf), Stevia rebaudiana Leaf, Sunflower Vitamin E, Ascorbyl Palmitate (Vitamin C); Cananga odorata Ylang Ylang Essential Oil, Boswellia Frankincense Essential Oil, Helichrysum italicum Essential Oil, Commiphora myrrha (Myrrh) Essential Oil, Pelargonium graveolens (Geranium) Essential Oil, Rosa damascene (Rose Absolute) Essential Oil; Pure Therapeutic Grade Essential Oils - My skin loving proprietary blend for beautiful skin. Sensitivity: Bee creams do not cause skin tingling. *Some reviews copied from over 1000+ Five Star Reviews! Thank You Everyone!!! "Your cream changed my life, no joke. I used to have peeling, cracking, blemished, and blotchy skin. My lips even used to BURN and were red, these tiny cracks on the sides of my lips would occur too off and on then also red and burn, I have no idea why. I been actually using your lip balm mixed with your bee face cream on my lips each night too, and that is even working. I battled these many annoying skin issues for YEARS! They were embarrassing and makeup did NOT HELP. I also had black heads that would not go away ever! I have no clue at all how you did this, but my skin is 100% cured!!! I actually went out without trying to cover my face up for the first time in I do not know how long! THANK YOU from the bottom of my heart!" "This night cream is absolutely the best. I have tried most of the Sephora's night creams, and even tried the Korean multi-step system, and nothing was getting rid of some stubborn little forehead wrinkles that I started to show up last year. This product made them disappear, and even the ladies in Sephora have asked about my secret. I have been using it for a couple of months, and it barely shows in the container. A little bit goes a long way. I LOVE IT! 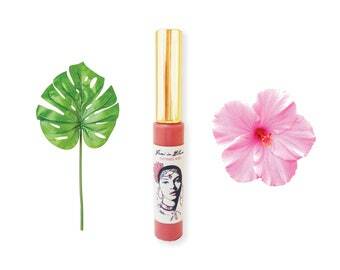 I can't not live without this lip balms! 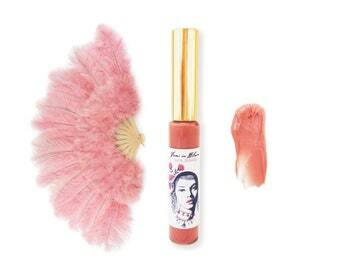 They are the best product that I have ever purchased for my lips." "Feels wonderful on my skin! After 4 uses I am already noticing some improvement including a decrease in pore size and slight fading of some dark spots. I can't wait to see results after continued use. Thank you!" "Sanura makes magical products! The facial serum has so many amazing ingredients, absorbs beautifully and makes a perfect base for her powder or any make up. The Bee Venom night cream smooths on, a little goes a long way, and has improved the texture and firmness of my skin. So nice to know I'm treating my skin naturally. Best of all the products are made with love & integrity. Thank you Sanura!" "By far best face cream I have ever tried out in my life!! Noticing my pore size is now tiny. I used to get botox and my friend told me to look up natural Bee Venom creams instead. I chose this one because of all the excellent reviews. Glad I did. I did see other bee venom creams but they use fillers and water! I also noticed the nice fresh bee color of this cream, you know its natural. I read so many good things about manuka honey and how it works our whole body. Tons of powerful healing and anti-aging in this honey wow. Cream really smells like a summer garden. The essential oils you use I know are well needed for my skin after doing my research! After one month, my skin is TOTALLY transformed!" "Everything I've ever gotten from this line is so effective. I use the word effective because I've tried all natural products that don't seem to do the job it is supposed to do. 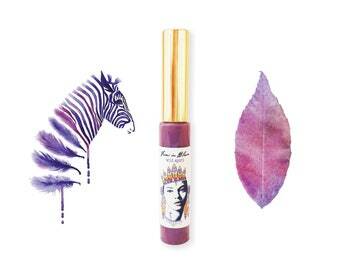 The Bee Venom Lip Gloss Plump Treatment is perfect and healed my lips. I tossed my Burt's Bees in the trash. The Bee Venom Night Face Cream on my skin is a very effective healer for my post breakouts. It doesn't break me out either." "Great stuff! This is the second jar I've ordered. I put it on under my makeup and then again before bed. Keeps my face soft and moisturized. Doesn't seem to break me out at all. I had a acid peel right before I received this and this cream seemed to heal it right up!" "My skin looks the best it has ever looked in years! I recently moved to NYC and need extra protection and moisture for this time of year and this cream covers all the bases! I look and feel radiant and I receive compliments on my skin all the time. I have been using the product for a month and LOVE it. My roommate has acne and she says the cream is helping with her acne scars and she has seen a reduction in breakouts! I could see a difference in my overall complection only after a few days. I am young, but I had some fine lines on my forehead that have since vanished! Smells and feels great on my skin. I use this every night and have since started putting it on some booty stretch marks and they are diminishing!" "My skin is beautiful, glowing, and firm! I have tried so many organic face creams, this one has highly outdone every other I have ever tried! Two wrinkles by my eye are now completely gone within only three weeks of use! I notice a positive difference in my skin each day." "I have been using this cream for 6 months now and I can't get enough of it! My skin has evened out so much and it has diminished my wrinkles! I love that you hand craft this fresh to order too! You really feel the difference and see the difference right when you put it on! I noticed a huge difference in my skin in just a few days of use and now after a month I am getting compliments all the time on my skin! My neck even is firmer now too! I love that you make it fresh to order." 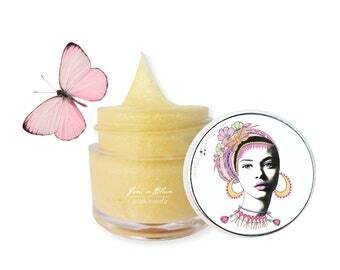 "The Bee Venom face cream is an instant eyebrow and facelift. I only applied to the left side of my face and there was a noticeable difference noted by my boyfriend who was quite impressed." ...This face food is essential for healthy skin. I use it everyday and wear this in lieu of makeup for a healthier, hydrated, wrinkle-free appearance. This is the third month I've been using it in a row, and my skin gets better and better everyday." "Your bee venom products annihilated the one wrinkle on my face in less than a week. Good stuff! Awesome product- wrinkle gone!" "At even 60 years young my skin feels refreshed and new each morning! Getting compliments on my skin once again. Age spots are diminishing, as too are wrinkles. Applying as well to my hands each night in hopes to keep them looking younger." "This skin cream is amazing! I usually get pretty dry skin during the cold wintery season, but the only flakes I've seen this winter have been outside! With this cream a little goes a long way. Although I usually have fairly oily skin, I've had no issues with oiliness at all, as everything absorbs nicely into the skin…I am pretty picky about what I use on my skin and put into my body so I am very, very pleased with the ingredients." 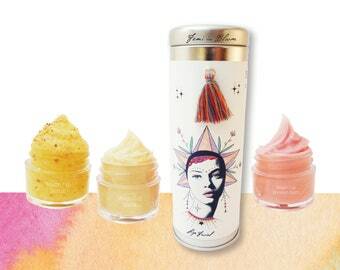 "What a fantastic face cream! 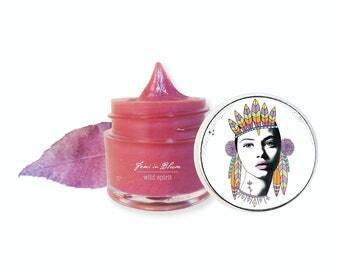 I found that it clears any irritation and breakouts and plumps up skin to soften fine lines and wrinkles while moisturizing, transforming your skin into velvet! After several weeks of use, i have not been more pleased with the appearance of my skin in years. I have shared this cream with all the women in my family and everyone absolutely loves it. This is a remarkable product and I highly recommend it!" "I am absolutely in love with this Bee Venom facial cream! After just three uses my skin looks brighter, more refreshed, dewy, soft, and younger. This is coming from someone who lives in a dry city with rather low humidity. This cream is a such a treasure. You truly need only a very small, dime-sized amount so it will last you a long time. I will be buying this again - undoubtedly!" "I can't believe the difference your bee venom face cream is making for my skin. This picture was taken tonight. My face looks almost as smooth as my daughter's! The wrinkles on my forehead are fading rapidly. This stuff is incredible. I touch my face all day long because it feels so soft. I'm sure all of my girls will be ordering at some point once they notice the changes in my skin. They always follow my suit. Thanks again!!!" Another amazing product! I use this day and night and my skin looks smooth and glowing. I’ll also pat it on my cheekbones for a subtle highlight.This cream really helped calm breakouts. BeeBee Skin Superfood Night Cream was the first product I purchased that started my OBSESSION with Urban Eco Beauty products. My skin feels so fresh and I am at peace knowing the organic ingredients are rejuvenating my skin. I use this product routinuely every night and sometimes even use it on my dry hands and feet. It is still on by morning and it smells amazing💛 As you can see in my picture, my obsession grew🌱 and I love and use all these products EVERY day. Looking forward to the next one I buy! Thank you Urban Eco Beauty for making such beautiful organic products.